with personal coaching from Merrick! If you feel as though you’ve hit a plateau in your career growth or you’re struggling to grow your client base and build better business relationships, professional coaching could be the missing link. According to a study by Inman, more than half of real estate agents surveyed reported their business increasing by 25% or more in the first year working with a coach. Whether your business is new or you’ve been at it a while, working with a professional coach can help you in more ways than you might imagine. Having an experienced, objective coach in your corner can offer you insight, ways to improve your skills and offerings, and the motivation you need to keep it moving in the direction you aim to go. Merrick Damon has dealt with everything you’re currently going through and will go through in the future. He can advise you on how to overcome your current struggles or barriers and offer guidance on setting up your future for success. There’s no reason to go into the future blindly, or to reinvent the wheel! Merrick’s expertise goes far beyond real estate so no matter your career path, Merrick can help you get to the next level. He understands what it takes to get in the game and truly succeed. 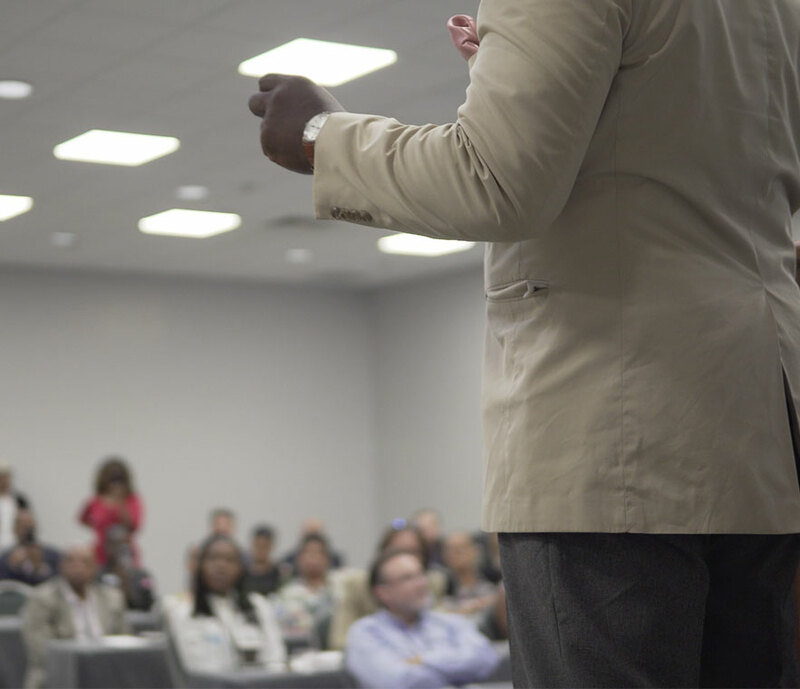 To keep you moving towards your full potential as a real estate professional, Merrick Damon Williams has developed a series of coaching packages designed to help you meet your specific goals and the needs of your professional path. 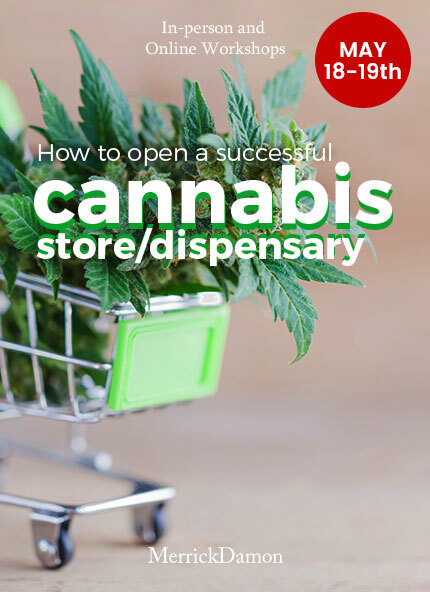 These include elements such as marketing and branding, successful lead generation, the value of multiple listing services, online real estate platforms, and the other things a professional must know to succeed. Conser the Keep It Moving Series as your roadmap to success as a real estate or any other professional. 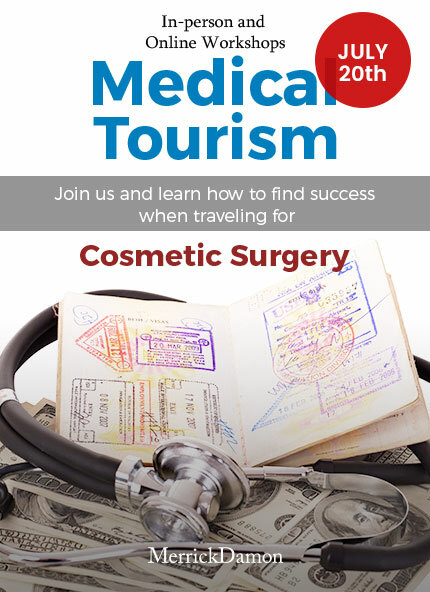 In any industry, the most successful individuals immerse themselves in all the tools they will need to further their careers and achieve their goals – this one might be the most powerful tool you add to your arsenal. Merrick Damon Williams is the Founder, President, and CEO of the MerrickDamon Family of Companies, with over 1 billion dollars in real estate sales. Through a combination of identifying trends and a personal business style that builds relationships and creates results, he has unabashedly risen to the top. 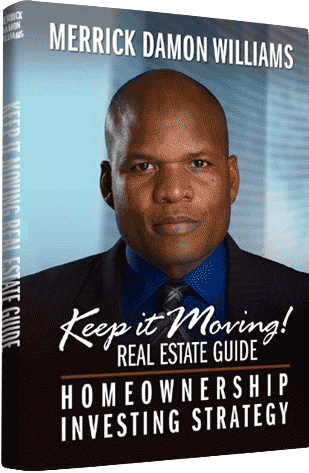 Merrick Damon’s Keep it Moving Real Estate Guide is your roadmap to success. 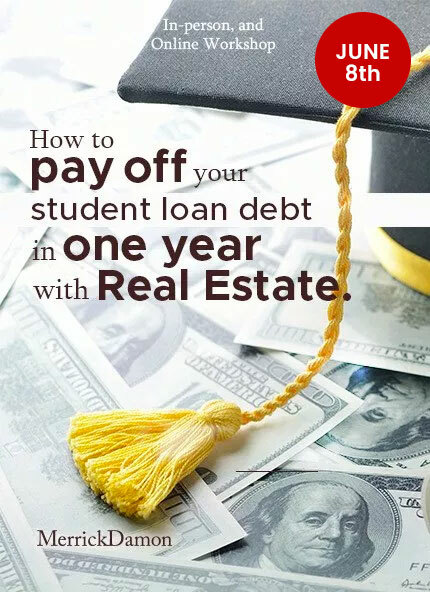 You will learn how to think and operate like a top real estate professional; you’ll learn about effective strategies, how to identify opportunities, and how to utilize resources to maximize your efforts. An extra pair of eyes, ears, or an extra brain, sometimes makes all the difference. 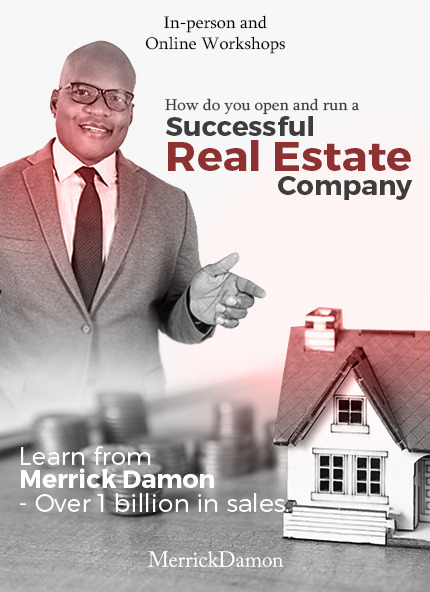 As an experienced real estate entrepreneur and investor, Merrick Damon Williams brings a world of knowledge and a vision for the unseen. Truth about your brand, concerns about a direction, or affirmation of a concept. Let him help you “Keep it Moving”. The MerrickDamon Real Estate School offers various workshops and courses, both in-person and online. The MerrickDamon University offers advanced and specialty training in real estate and business leadership. For real estate professionals that are deeply involved in the industry, meeting an industry author can be a thrilling opportunity to create motivation, help push to sales goals, or to learn from another professionals with a track record of success. Merrick Damon Williams is well-known for his charismatic style, his engaging conversational style, and his ability to warm a crowd to all the realities of the real estate industry and running a business or division. Teams need nurturing as well as pressure. The energy in a sales department or team can definitely wain when the expectations are high (and deadlines are looming)! Merrick Damon Williams can help your team get their energy back and, just maybe, your company sales on the upswing. 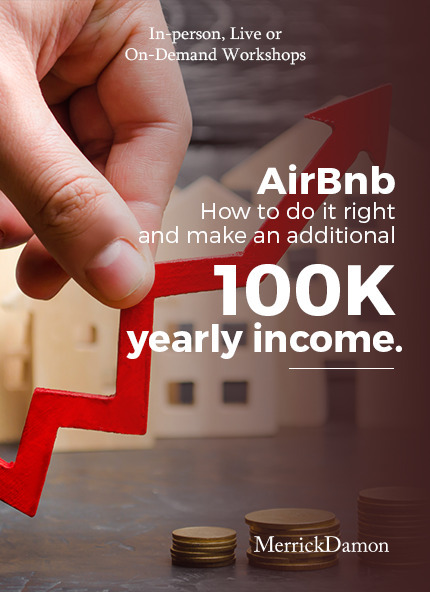 Ready to make the next step from your standard real estate ownership opportunities? Vacation rentals can really be a change of pace. Generally to a chill pace—with a beach, a piña colada, and some amazing steel drum music. Purchasing vacation rentals to add to a portfolio can be lucrative, but it also has its risks. five (5) scheduled coaching calls with Merrick, with individualized attention and specific advice and guidance that will give you a clear understanding of success as a real estate professional operating your own business. As well as ten (10) scheduled coaching calls, Merrick will conduct two (2) private strategy meetings with you, providing expert advice, strategies and directions to guide you through specific areas of your business. In addition to fifteen (15) scheduled coaching calls with Merrick, you will enjoy four (4) private strategy sessions, including an assessment of your business and agents, and enjoy one (1) entire private day in a professional setting with Merrick, who will offer advice, guidance, and practical solutions for you and your real estate business.